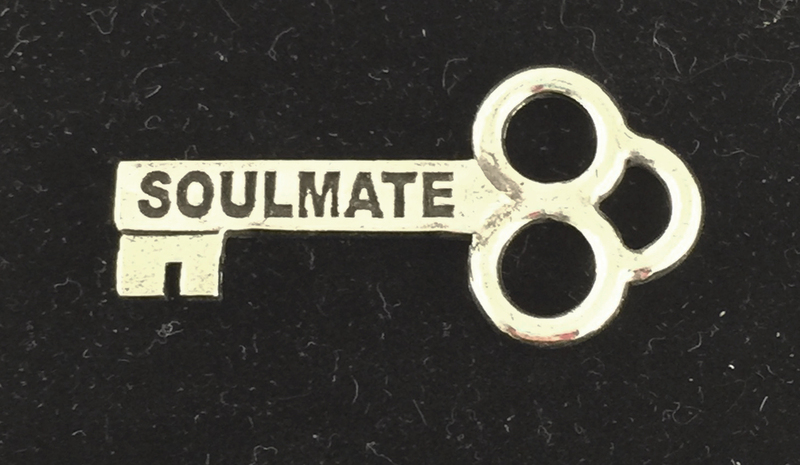 The key to your 'Soulmate' is represented in this charming mini key pocket token made of lead free pewter. Measuring approx. 1 1/2" x 3/4" the key features cutouts making it perfect to hang from a keychain or necklace. The reverse side has a small manufacturer's marking.